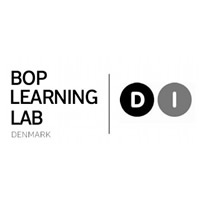 The Danish BOP Learning Lab is hosted by the Confederation of Danish Industry (DI). DI is Denmark’s largest business organization representing more than 11.000 companies. The lab has existed since 2007 and is managed by the international consulting unit DI International Business Development (DIBD), which has offices in seven countries and experience from more than 600 projects in emerging markets and developing countries (see below). In addition DIBD is involved in many capacity building projects with business organizations in developing countries. The lab has until 2011 received support from the Danish development agency allowing it to reach broadly out to Danish companies and dedicate significant resources to tool development and communication/network activities. From 2012 the lab will primarily be funded by company projects which will lead to more focus on business development projects and less on network activities. The Learning Lab focuses on three areas: Knowledge sharing; Knowledge generation and consultancy. Sara Ballan is part of the Sustainable Enterprise team that assists companies in targeting the markets at the Base of the Pyramid (BoP). The team is also engaged in CSR projects related to anti-corruption and social and environmental compliance in developing countries. Prior to joining DIBD Sara was head of the secretariat for the National Network of Business Leaders – a CSR network that functions as an advisory council for the Minister of Employment and helps companies create an inclusive labour market. Sara has also worked with CSR strategies at a practical level as a long-term consultant for a large multinational company. As a student Sara worked at the international think tank, the Copenhagen Centre for Corporate Responsibility. Sara has supplemented her degree in political science with studies at Copenhagen Business School, Stern School of Business (NYU), and Tsinghua University (Beijing). This combination has given her an in-depth understanding of business drivers on the one hand and the political, economic, and social dynamics driving development on the other hand. As an intern at the Danish Embassy in New Delhi, Sara experienced the CSR challenges Danish companies meet when operating in developing countries, and deepened her understanding of the vast Indian BoP-market.